Internet usage rates are relatively low in Zambia, but as Internet penetration grows, so does the rise of online gambling. 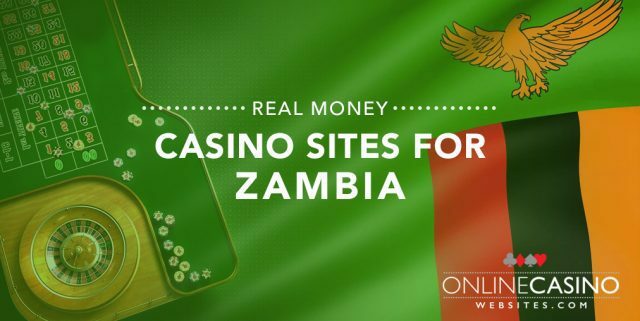 We take a look at Zambia’s gambling laws to find out whether it is legal for Zambian’s to play real money casino games online, and discover the best, safest online casino sites accepting Zambian players. The gambling laws in Zambia are covered by three main Acts – the State Lotteries Act, the Casino Act, and the Betting Act. Gambling is legal and allowed, provided the operator has obtained an official license and adheres to the rules and regulations within the relevant Act. Sports betting is by far the most popular form of gambling in Zambia, with most wagers taking place in local bookmaker shops or over the phone. Gambling at land based casinos is allowed, with casino licensed issued as part of Zambia’s Tourism and Hospitality Act. There are only four brick and mortar casinos operating in Zambia, and these are mostly located within resort areas, as casino gambling is geared predominantly towards tourists. Gambling licenses expire after five years and the operator must always stick to the number of gaming machines or table games it has been legally permitted to operate. Is online gambling legal in Zambia? There is nothing in Zambia’s gambling laws to specifically address online gambling and therefore it remains perfectly legal. The Zambian government has issued online gambling licenses to some Zambian bookmakers to allow Internet sports betting, but the online casino industry remains largely unregulated. It is often safer for Zambian players to access offshore casino sites that are fully licensed and regulated by renowned international gambling jurisdictions, which is what many players choose to do. With no laws preventing online gambling in Zambia, players are free to play for real money at the casino site of their choosing with no chance of legal consequence. As the Internet penetration rates are incredibly low in Zambia compared to the Western world, online gambling is not prevalent enough to be covered under the country’s gambling laws. This may change in the future and the laws may be updated as Internet usage in Zambia grows, but until then it is perfectly legal to gamble online in Zambia. Although there are a few online gambling operators that have received licensing from the Zambian government, many players prefer to gamble at offshore casino sites, which offer better game variety and bigger welcome bonuses. 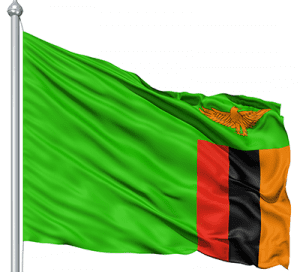 Given there is nothing in the law to prevent Zambian players from accessing international casino sites, many of the leading casino operators happily welcome punters from Zambia. For a full list of the top-rated casino sites that cater to Zambia, refer to our casino table at the top of this page. This table has been geo-targeted to recognise that you are playing from Zambia, and only recommend reputable casino sites that accept players from your country. These regulated casinos have all undergone our stringent testing processes to ensure they offer player safety, a wide variety of games from leading software developers, a range of secure payment options and dedicated customer service. Our top-rated casinos are licensed by leading offshore gambling jurisdictions like the United Kingdom, Malta, Alderney, Curacao, Isle of Man, Gibraltar and Kahnawake. Despite many of the major online casino sites accepting Zambian players, it’s unlikely you will come across many offshore casinos that accept payments using the Zambian kwacha (ZMK). If Zambian currency is not accepted, this simply means you will be subject to currency conversion fees as your money is exchanged into a more commonly accepted currency like EUR, GBP, USD, AUD or CAD. The payment options for Zambian players vary depending on the casino you’re visiting, with different vendors offering different deposit method to players from different countries. You can check which deposit methods are available to you by logging in to your online casino account and going to the banking/cashier section, or checking the banking FAQ page. For further assistance or queries, you can always use the casino’s live chat function to speak directly to a customer service rep.
Our top-rated online casinos typically accept deposits using Visa, MasterCard, Neteller, Skrill, Paysafecard, ecoPayz, EntroPay and direct bank transfers/bank wires, although you may find some payment methods available exclusively to Africans. All financial transactions at our recommended online casinos are protected by a minimum of 128-Bit SSL (Secure Socket Layer) digital encryption security to ensure player safety at all times, but if you would like the peace of mind of an additional layer of security, consider using a trusted VPN (virtual private network) service when playing for real money online. Looking for a safe, licensed online casino site that accepts players from Zambia? Refer to our casino table above, which has been geo-targeted to recognise the location you’re playing from and only recommend online casinos that accept players from your country.